U-Can Store It is your one stop shop for all of your packaging needs. We can help you get prepared for your next move with our great range of packing materials and some basic tips on packing boxes. 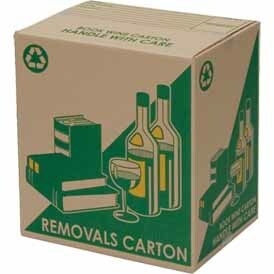 We have tea chest cartons, book wine cartons, packing tape, butchers paper & bubble wrap available for purchase in the office. Be prepared – Get all of your packing materials organised. This includes a range of good quality boxes, bubble wrap, butchers paper, tissue paper, packing tape and a marker pen. Clear a space – either on the floor or table depending on how big the boxes are that you are going to pack. If you are packing a large box with heavy items you need to do this on the floor. Where you are going to store it for the time being would be great. So you don’t need to worry about shifting it, if its too heavy for you to keep lifting and moving. A spare empty room would be ideal to store your boxes in there until moving day. Use quality products – Seal the bottom of the box with good quality packing tape. Don’t use cheap tape. This will not support your boxes. It also tends to break easily and does not stick well. The last thing you want is for your box to come apart while someone is trying to move it. With all your items falling out of the bottom! Seal Completely – Seal the bottom of the box. As long as you have good quality tape you won’t need too much. If you are going to place your items in storage for a length of time. Or shipping your items overseas. Its best to seal the ends completely so there are no holes. You are better off doing the bottom of the box before you pack it. Make sure you seal the joins of the boxes.